Do you want to be an Independent Nurse Provider/contractor in Butte County, California? If Yes, then you have landed on the right page. 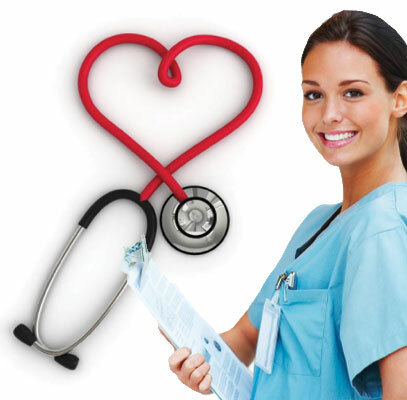 Here at Proinp, we assist the nurses (Licensed Vocational Nurse in Butte County and Registered Nurse Butte County, California) to enjoy their work efficiently and become financially stable. As an Independent Nurse Provider you can work without an agency and bill Medi-Cal directly for the medical healthcare services rendered to your patients. Home Health Care in Butte County, CA can be categorized as either non-medical (home care) or Medicare certified (home health). Non-medical home care includes personal care and help with everyday activities, while Medicare certified home health care ranges from skilled nursing to physical / occupational therapy. The whole process of getting a licensed vocational nurse jobs Butte County may be time consuming and confusing however, we ensure you to provide end to end solution on the application submissions and requirements. Proinp offers an outstanding electronic home care medical billing services in butte county, CA on an accurate time to its clients. Our Medical Biller has over 10 years of experience in handling end to end billing services for both Independent Nurse Providers and other organizations like home health care agencies, pharmacies and DME’s in Butte County, California. We believe in providing cost effective, high quality home care services to achieve high standard of compassion, excellence, accountability and promote higher level of care. At Proinp, we ensure that the billing is accurate, all the cheques are received on timely basis and also helps you in setting up a direct deposit with DHCS. Proinp brings excellence in home care billing to the home health care industry. Providing professional billing services in Butte county, CA with the upmost integrity is our mission. Proinp handles entire home care billing process; Giving you greater peace of mind to focus on providing exceptional patient care. Our team works diligently to track and collect your account receivables till the maximum claim has been received. We efficiently bill for Medicaid, Medicare, and the commercial payer sources on time. Medicaid and Medicare are national programs administered by US government however, Medicaid in the United States is a social health care program for families and individuals with limited resources and Medicare is basically a national social insurance program by US federal government that offers health insurance to younger people with some disabilities. You can get more information on how to apply for Medi-Cal here. At Proinp, we offer you with an outstanding consultation services on how to become an Independent Nurse Provider in California through Medi-Cal (The California’s Medicaid welfare program serving low-income individuals, including: families, seniors, persons with disabilities, children in foster care, pregnant women, and childless adults with incomes below 138% of federal poverty level). Fresno County and many more counties in the state of California.